Have you asked yourself and your real estate broker this question? It may not seem like there is a difference, but there actually is a big difference regarding the service you will receive using a REALTOR® verse a licensee. The National Association of Realtors was formed in 1908 and forming the first ever business ethical code in 1913. The main objectives of the NAR include service to the public and commitment to professionalism. The Code of Ethics imposes social responsibility and a patriotic duty beyond a normal licensee. REALTOR® should maintain and strive to become and remain informed on issues effecting real estate and its professionals. REALTORS® also promote the best interest of those who utilize their services, urging exclusive representation, refrain from making unsolicited comments and uninfluenced by any personal motivation/gain. The Code of Ethics must be reasonably and consistently construed with the law. It also restates certain fundamental legal principals such as contract, agency and fair housing. A section of the Code is Pathways to Professionalism, which is a list of service criteria for the industry and professional courtesies to enhance REALTOR® professional conduct – Respect for the public, respect for property and respect for peers. Few examples of these are: Communicate with all parties in a timely fashion, be aware of cultural differences, be considerate of a seller’s property and real estate is a reputation business. What you do today may affect your reputation and business for years to come. What does this mean to you as the client? Using a REALTOR® will provide you will the best possible service and experience during your home buying or selling process. REALTOR® are held to a higher standard and recognize the interests of the nation and its citizen’s requiring the highest and best use of the land and largest land ownership. REALTOR® promotes competency, fairness and high integrity. Above all else REALTORS® embody the Golden Rule; Treat others how you would like to be treated. I think we can all agree that when using someone’s service we would like them to treat us how we would treat them! As we have said before, please call a local REALTOR® for all your real estate needs no matter how big or small. We are trained professionals here to make your life easier. It’s best to surround yourself with the right team of professionals that can continuously give you the right advice for all your circumstances. 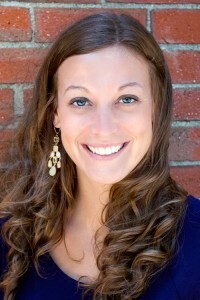 Katie Kinney is an associate broker. She and the company represent buyers and sellers in the Greater Portland area. For all your real estate needs contact katie@landinghomesmaine.com. Next: Landing Real Estate’s Windham office is now open!